Kara has written and secured three grants to support her thesis research. A huge thanks to T&E, Inc., Prairie Biotic Research, Inc., and the UWSP OSCAR program for their support and for offering competitive grant programs for which students can compete. Lonsinger Lab is moving to South Dakota State University! 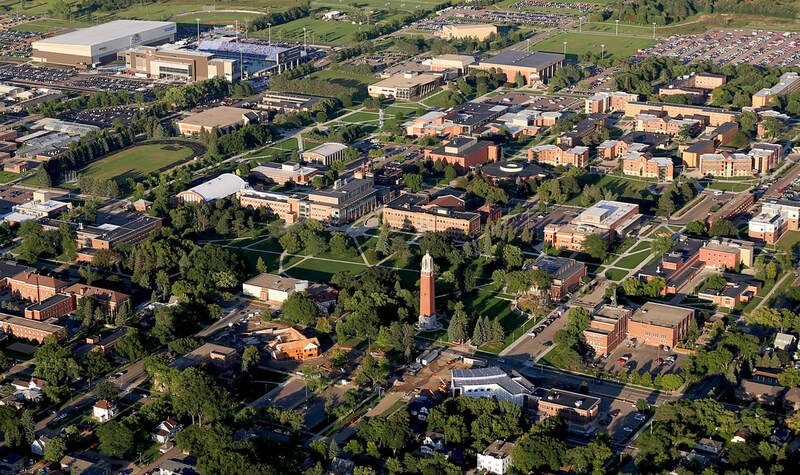 In Fall 2018, the Lonsinger Lab is moving to South Dakota State University. We look forward to the new research and collaboration opportunities associated with this change! Stay tuned for updates as the transition begins in the summer of 2018. 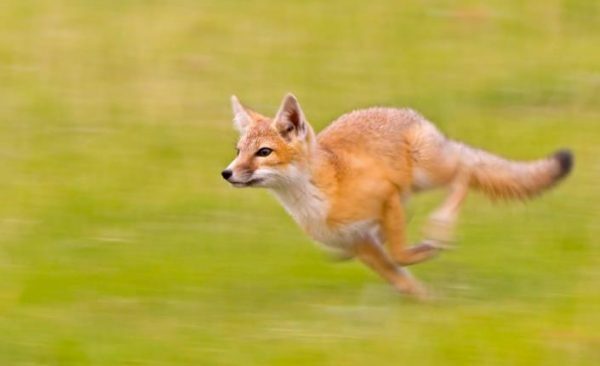 We thank the many collaborators and funders that have stepped up to make our Kansas swift fox project a reality: the University of Wisconsin-Stevens Point, Prairie Wildlife Research, the Wisconsin Center for Wildlife, the Nature Conservancy, T&E, Inc., and Prairie Wildlife Research. 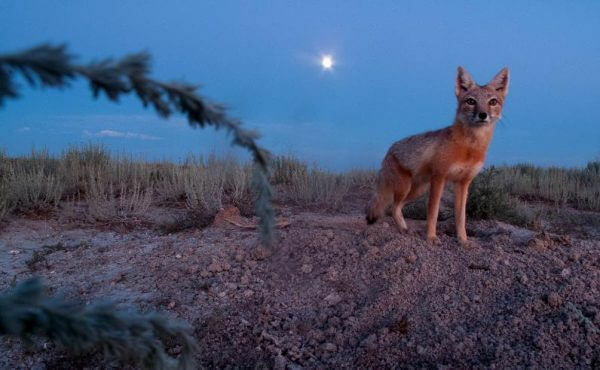 Another nice manuscript on resource partitioning between kit foxes and coyotes was recently accepted and is now available online in the Canadian Journal of Zoology (Click here for access). Paige worked hard on this, and it paid off! Excellent work, Paige, and way to stick with it over the years. If you do not have access to the journal, email me for a copy. 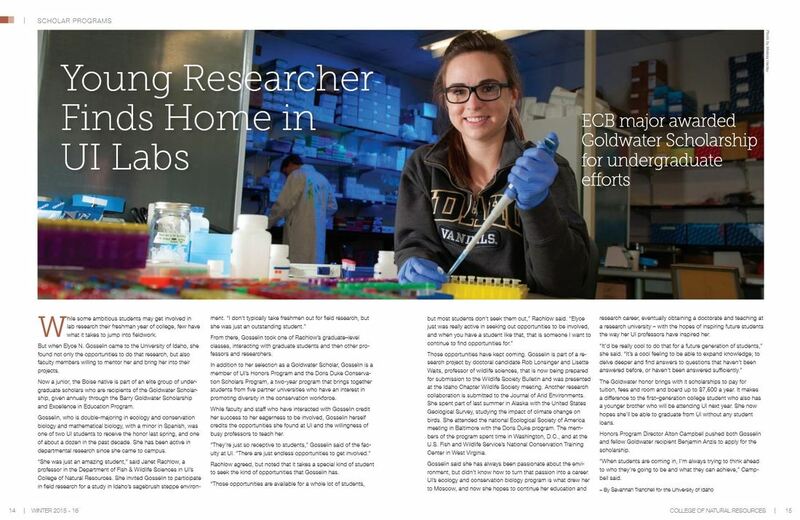 Elyce recently had her manuscript on molecular scatology accepted and published in the Wildlife Society Bulletin! Nice work, Elyce. Click here to access. If you do not have access to the journal, email me for a copy. Thank you to the University of Idaho's Department of Fish and Wildlife Sciences for awarding me the Outstanding Graduate Student Award! I truely enjoyed being a part of this amazing department and learning from such an inspiring faculty and staff. Many thanks. University of Idaho Alumni Award for Excellence! Thank you to the University of Idaho Alumni Association for awarding me the Alumni Award for Excellence. 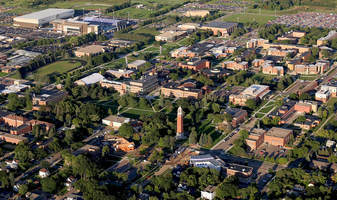 I feel privileged to have had the opportunity to attend and contribute to the University of Idaho. 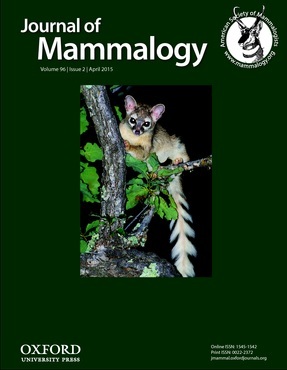 We were fortunate to have had our research, "Fine-scale genetic structure of the ringtail (Bassariscus astutus) in a sky island mountain range," featured on the cover of the Journal of Mammalogy. Many thanks to all who supported this research of the years. Thank you to the Idaho Chapter of the Wildlife Society (ICTWS) for awarding me the 2015 Graduate Student Scholarship. 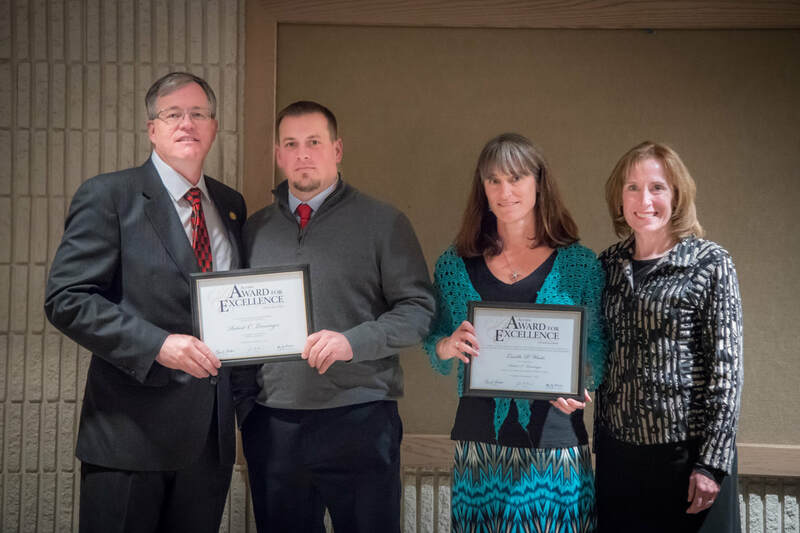 It is an honor to be recognized among the excellent graduate students in Idaho and across the northwest. 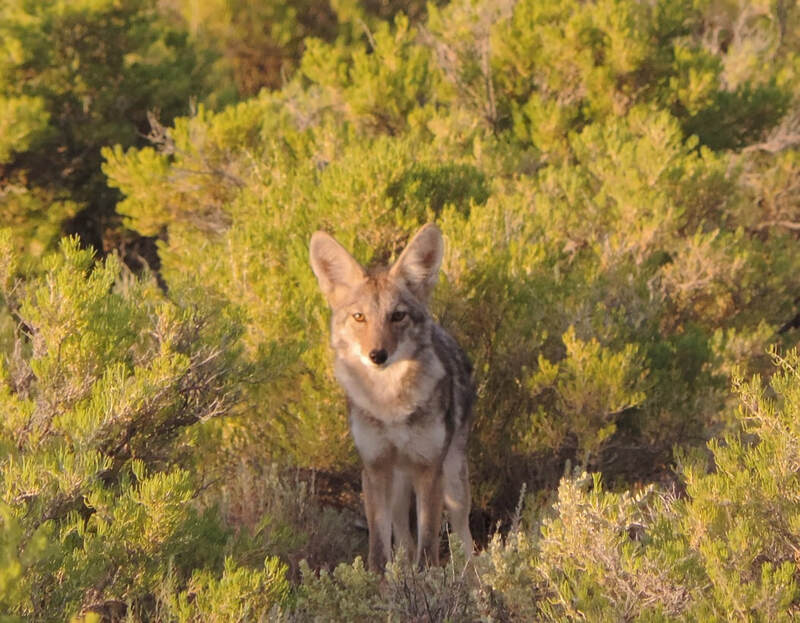 Elyce Gosselin, an undergraduate student in the Ecology and Conservatoin Biology Program at the University of Idaho, presented her research entitled "Sampling methodology and a comparison of traditional and molecular diet analyses for a terrestrial carnivore." Lisette Waits and I have been mentoring Elyce. Congratulations Elyce on an excellent presentation! Check out Elyce's website for more information | Link. 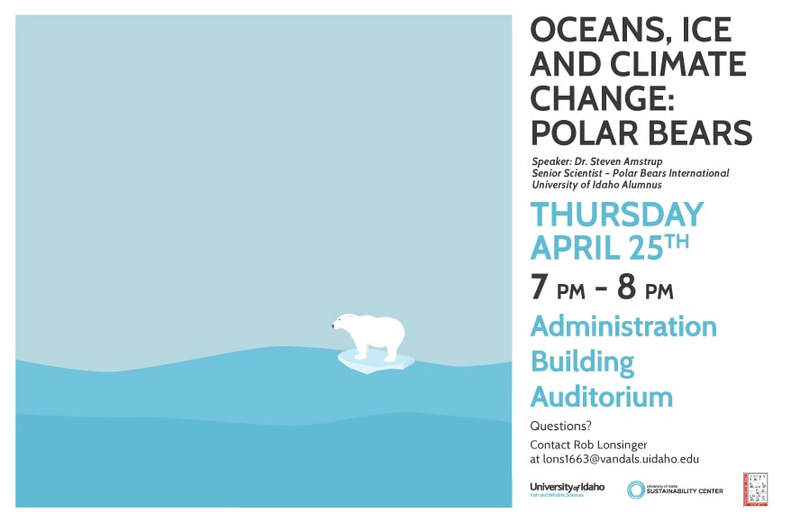 Melting misconceptions - Award-winning polar bear researcher and University of Idaho alumnus provides a talk on climate change and climate projections | Link. Sustaining multiple perspectives - NOAA scientist Shallin Busch provides a seminar on the influence of climate change on ocean acidification | Link.